Unfortunately I have been a little overwhelmed with things going on here at home and it has taken me away from my 30 day challenge of t-shirts. Things have slowed down a little and I should be able to focus more on doing the things I love, but last week my family had to come first. I’m hoping that I can make up some of those days by posting multiple projects at a time or two projects per day. She can be so adorable at times. Now for this cute little tank dress that was made from 3 old t-shirts. 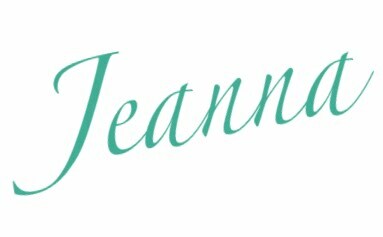 I have been wanting to make myself one too. Maybe this week I will be able to bust one out for me also. 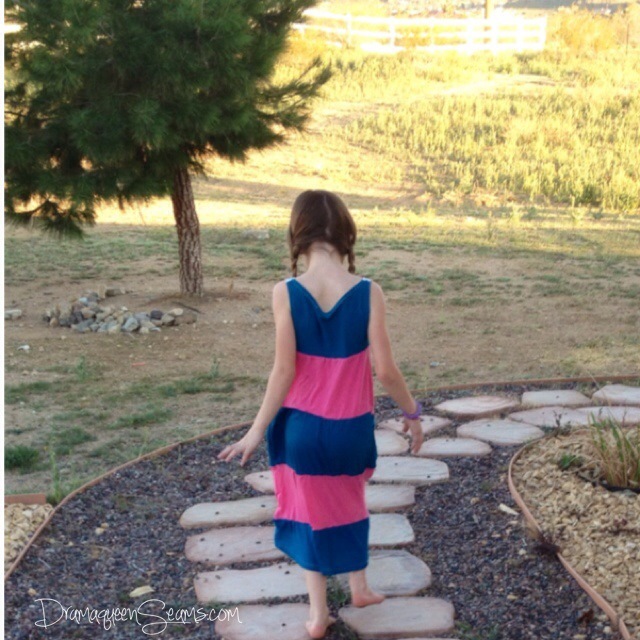 I used one of my little Drama Queen’s tank dresses that she loves and fists her perfectly as my pattern. All I did was trace around about an inch larger that the dress for the base of my pattern. Freezer paper works great for making patterns. Then I cut 12 inch wide strips out of my other t-shirts for the remainder of my dress. I gathered up the edges of each piece and then stitched them together. 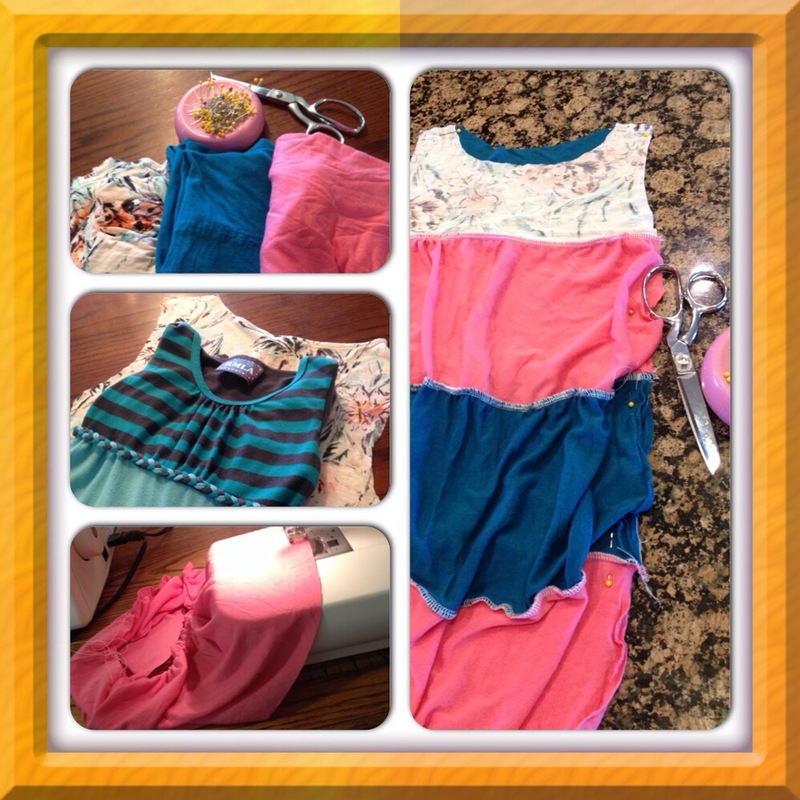 Once I had my front and back dress pieces I was able to pin them together and stitch them in place. Sewing a small hem around the neck and arm holes to finish the edges. I also hemmed the bottom edge at about an inch. 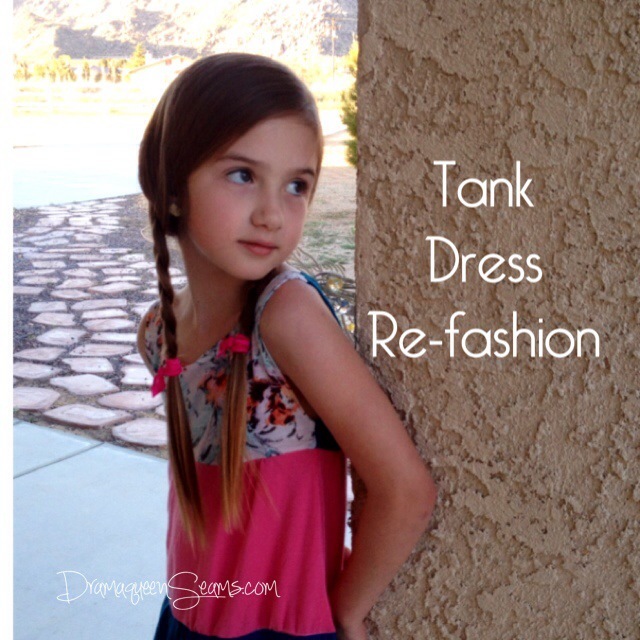 Hope you like this cute little tank dress tutorial. Let me know if you have any questions about it or if you just want to say hi that’s great too. Cute and comfy to boot! Really cute and I love your photo on the stone pathway! She is cute and the dress looks great.